First lady Michelle Obama unveiled a plan today to "reverse the epidemic of childhood obesity," and called on help from governments, schools, and businesses as well as the families themselves. "We're setting really clear goals and benchmarks and measurable outcomes that will help tackle this challenge one step, one family and one child at a time," Mrs. Obama said during a White House ceremony. Mrs. Obama and her aides released a task force report entitled Solving the Problem of Childhood Obesity Within a Generation. The goal, she said, is to "ensure that our children can have the healthy lives and the bright futures that they deserve." Currently, one in three children are considered overweight or obese, Mrs. Obama said. "If we meet the goals we set, we will reverse a 30-year trend," she added. Comedians Jay Leno, Stephen Colbert and Wanda Sykes crack ‘em up at the White House Correspondents’ Dinners. Then – impersonators poke fun at past presidents on Larry King Live! AND Watch Michael Moore at 11pm ET! Wait 'til you hear what Michael Moore says about Goldman Sachs and the scandal on Wall Street! Why he claims they’ve mugged the American people! Plus! He takes on the Tea Party movement, Toyota’s troubles, the GOP and more! We want to hear your take on it all! Did Goldman Sachs commit fraud? Washington (CNN) - Retailers open their doors Monday and roll out big sales to entice customers. Government employees - along with kids - have the day off. But do you know why? If you answered "Presidents Day," you're technically wrong. The actual federal holiday is called "Washington's Birthday," after the nation's first president, George Washington. According to the Gregorian calendar, adopted by England and its colonies after Washington was born, his birth date was February 22, 1732. (The Julian calendar has him born on February 11.) He is viewed as one of the greatest presidents in U.S. history and was also much adored during his lifetime. "In the earlier years, when it was celebrated, it was more than celebrating his birth, it was celebrating what we liked about Washington: He walked away from power, a very poignant lesson for people," said presidential historian Doug Wead. It wasn't until 1885, though, that February 22 became designated a federal holiday to honor Washington. Presidential historian C.L. Arbelbide wrote in a 2004 article in the National Archives publication "Prologue" that succeeding generations found "significant ways to periodically resurrect his memory," as evidenced by the laying of the Washington Monument's cornerstone in 1848. "The numerous tributes continued to reaffirm George Washington's place as the original 'American Idol,' " Arbelbide wrote in the article titled "By George, IT IS Washington's Birthday!" A Georgia couple arrived at the White House on the wrong day for a tour recently and got much more than they bargained for. I confess, I've met Tareq and Michaele Salahi. I met them a number of years ago. Yes, at a Washington party - I don't think they were crashing that time, as they've been accused of crashing a White House state dinner in November. Then it was a reception for a well-known Italian designer-type, one in which people put on the one item they own by that label, one that I'm a little embarrassed to admit to have attended. At first, they seemed like a normal couple, but minutes into our conversation it became clear to me that there was something a little different about the pair. At the time, there were no reports of Michaele's alleged misrepresentation of being a former Washington Redskins cheerleader, no cameras following them around as they tried out for a reality TV show, no questions about their charitable organization or other claims that have come to light. But even then, something seemed odd - they addressed me like they'd known me for years and that I would want to hear about the legal woes they were having with Tareq's mother. They dropped names, such as basketball star Shaquille O'Neal, the fabulous events they went to, the incredible things they did. I knew or thought they were interested in talking to me for only one reason: I'd just told them I worked in television news. Needless to say, they left a lasting first impression. The Virginia couple who slipped through White House security and shook hands with President Obama will invoke the Fifth Amendment, which protects against self-incrimination, if subpoenaed to testify to Congress, according to a letter from the couple's lawyer. The House Homeland Security Committee is scheduled to vote Wednesday on whether to subpoena Tareq and Michaele Salahi to answer questions about how they gained entry to the White House on November 24 despite not being on the guest list to attend a state dinner for the prime minister of India. A lawyer for the Salahis sent a letter to the committee Tuesday saying the Salahis will not testify because of a pending federal investigation by the U.S. attorney in Washington, and because of statements made by some members of Congress about the Salahis last week. "The Salahis must contend not only with vilification by the press, but also with a treacherous legal environment that threatens criminal exposure," the letter from lawyer Stephen Best said. 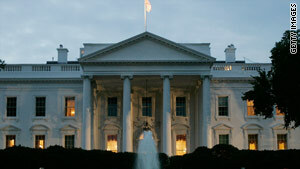 The letter said the Salahis have cooperated with the U.S. Secret Service during its investigation. "They have provided documentation, including telephone records and copies of e-mails with a White House official, to the investigating agents," the letter stated. What questions do you have about the president's plan for combating rising unemployment? Tonight, Larry will speak to Mitt Romney, Google CEO Eric Schmidt, motivational speaker Tony Robbins and Magic Johnson about today's White House Jobs Summit - and we're taking your questions. What can these business leaders help you with? Be sure to leave us your questions in the comments section and watch Larry King Live tonight at 9pm ET/6pm PT for the answers! They were not on the White House guest list, but Michaele and Tareq Salahi insist that they are not party crashers. In their first televised interview since being accused of slipping past White House security and attending President Obama’s first state dinner a week ago, the aspiring reality TV stars said they were eager to explain what had happened — but that they would have to wait until a later interview to do so. “We did not party crash the White House,” Mr. Salahi said on the “Today” show on NBC. “There isn’t anyone that would have the audacity or the poor behavior to do that,” Ms. Salahi added later. Mr. Salahi added that they had “turned over documentation” to the Secret Service, which may have been a reference to e-mail messages between the couple and Michele S. Jones, a special assistant to Defense Secretary Robert M. Gates who serves as a liaison to the White House.